Yogurt and olive oil join forces to give this loaf its luxe, super-moist texture; fresh Meyer lemons give it that unbeatable tart-sweet flavor. 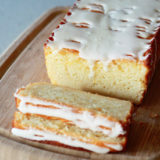 You guys, I flippin’ adore this unique lemon loaf recipe. It’s my new addiction. My new “must send this to the office with my guy because I can’t be trusted home alone with it” cake. 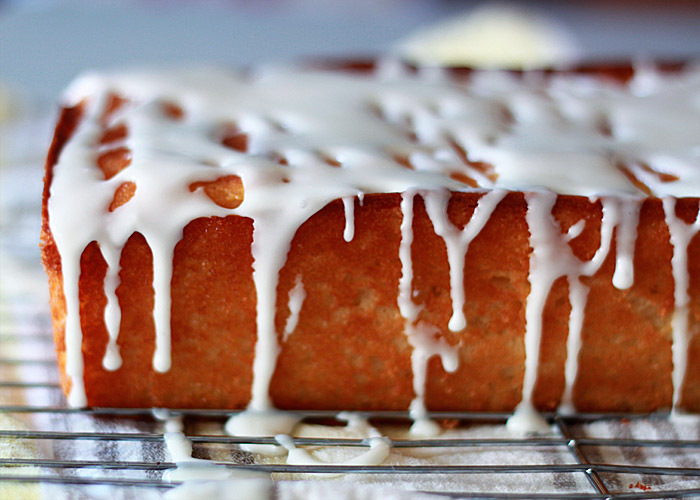 Meyer Lemon Olive Oil Yogurt Cake: Deliciously dangerous. It’s also made with – you guessed it – olive oil. Which may seem like a strange ingredient in a cake, but stick with me here. It’s worth it. As I’ve moved more and more toward whole, clean foods prepared in my own kitchen and farther away from the processed foods I grew up with, I experience these little pings of “that’s not a food!” epiphanies. Like, strawberry Twizzlers, man. Those are SO not food. Or all the freaking “ingredients” that go into an Oreo cookie (and what even *are* those things, anyway?) That’s not to say I don’t eat both of those foods on the very rare occasion; I have and do. But I’m also aware that I’m not necessarily eating what, to me, constitutes actual real food. Recently, I really started thinking about vegetable oil. What is that? Considering vegetables typically have little to no oil, where does the oil actually come from? It’s not like a bunch of carrots and broccoli and spinach are sent to press like olives are. And if they are … wow. How many vegetables would it take to make one bottle of vegetable oil?! I did a little research, and it’s tempting to go into it here, but I’ll try to restrain myself. I usually try to keep things on the lighter side. What I did learn, though, is that vegetable oil is typically obtained by pressing various seeds (that makes a little more sense) and then extracting the compounds that make up the actual “vegetable” oil with chemicals. Potentially scary chemicals, actually. I’ve developed plenty of recipes that call for vegetable oil here on Kitchen Treaty, and I’m not likely to go back and change them or anything. But my little moment of “what IS that? !” concerning vegetable oil will likely result in my generally using different oils, such as coconut oil or olive oil, in my recipes going forward. Which is my very long-winded explanation of why I decided to try olive oil in my lemon cake. The utterly delicious result, however, is another good reason why I’m going to keep doing it. I originally wanted to make a lemon yogurt cake to use up some of the homemade yogurt that I made thanks to Julia’s fabulous new book. And then I started eyeing the pretty orange-hued meyer lemons gracing my fruit bowl. And then, in the midst of mixing together the ingredients, I decided, thanks to my new perspective, to use olive oil instead of vegetable oil. I didn’t even use light olive oil – I went with the strongest-flavored choice, extra virgin olive oil. Livin’ on the edge, that’s how I roll. For extra lemon goodness, after the cake comes out of the oven, you drizzle a tart lemon syrup on the still-warm cake so that it soaks in and gets even more lusciously lemony. And with that, I have officially used the word “lemon” three times in a sentence – and I wasn’t even talking about Hart of Dixie! The combination of the syrup, yogurt (two full cups of it!) 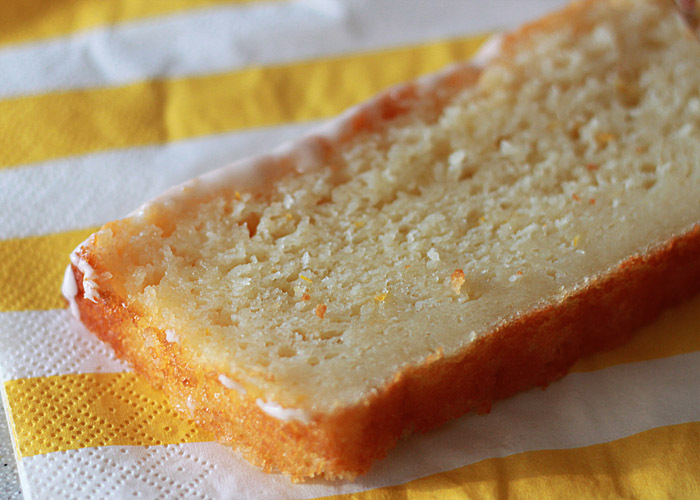 and olive oil give this cake an incredible big crumb and luxe, super-moist texture. And, yes, you can taste the olive oil if you go with extra virgin – I love it and think it’s a fine companion for the sweet-but-tart meyer lemon, but if you’re not sure, try it with a lighter olive oil. You don’t taste as much of that green-y olive oil flavor that way. Either way – good stuff. Just be warned, though – if you’re a weakling like me, it is TOUGH staying away from this one! Preheat the oven to 350 degrees Fahrenheit. Oil a large loaf pan – approximately 8 inches by 4 inches by 4 inches. In a medium bowl, whisk together the yogurt, 1 cup sugar, eggs, lemon zest, and vanilla. Make a well in the dry ingredients and pour in the wet ingredients. Stir with a whisk until incorporated, and then fold in the oil. Stir until well-incorporated. Pour into the baking pan and cook for 50 minutes or until golden brown and a cake tester or toothpick inserted into the middle comes out clean. While the cake is cooling, make the syrup. Place the 1/2 cup Meyer lemon juice and 1/3 cup sugar into a small saucepan over medium heat. Heat, stirring occasionally, until sugar dissolves. Set aside. Set a wire cooling rack over paper towels or into a baking sheet to catch drips. Carefully loosen the sides of the cake and flip the pan upside down over the wire rack to remove the loaf. Carefully flip the loaf so that it is sitting right side up on the wire rack. Now, while the cake is warm, spoon the syrup over the cake, allowing it to soak in. Let cool for one hour. Make the glaze. Place the confectioner’s sugar and lemon juice in a small bowl and stir with a fork until combined. Spoon over the top of the cake. Let sit for several minutes until mostly hardened. Slice and serve. Cake keeps in an airtight container or zipper bag at room temperature for 3 – 4 days. To freeze, wrap tightly with plastic wrap and transfer to freezer. Allow to thaw for a couple of hours at room temperature before serving. Heavily adapted from Ina Garten. I started made a few batches of muffins last month with olive oil….I love the slightly savory flavor it adds. I can’t decide whether I’m more excited about about the meyer lemons, the olive oil or the lemon glaze….I love it all! I may make this soon, perhaps with the oranges that are languishing in my fridge. A note on vegetable oil: generally, vegetable oil is made from soybeans or some other suspect item. That and corn oil are typically made from those GMO-raised, pesticide and herbicide-soaked, Monsanto-owned crops. All BAD THINGS. Go watch King Corn. You’ll freak. And you won’t ever eat anything made with corn oil or corn sugar (i.e. high-fructose corn syrup) again. I bet this would be so great with oranges! Maybe just a little less sugar overall. Thanks for the tip on King Corn! Thanks for the sugar tip! I probably wouldn’t have thought of that and would have had a very sweet cake! 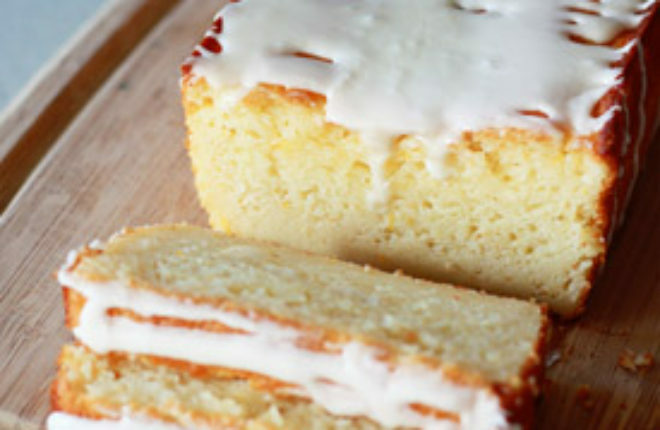 Pound cake is my weakness! I could eat it for every meal! OMG yum!! 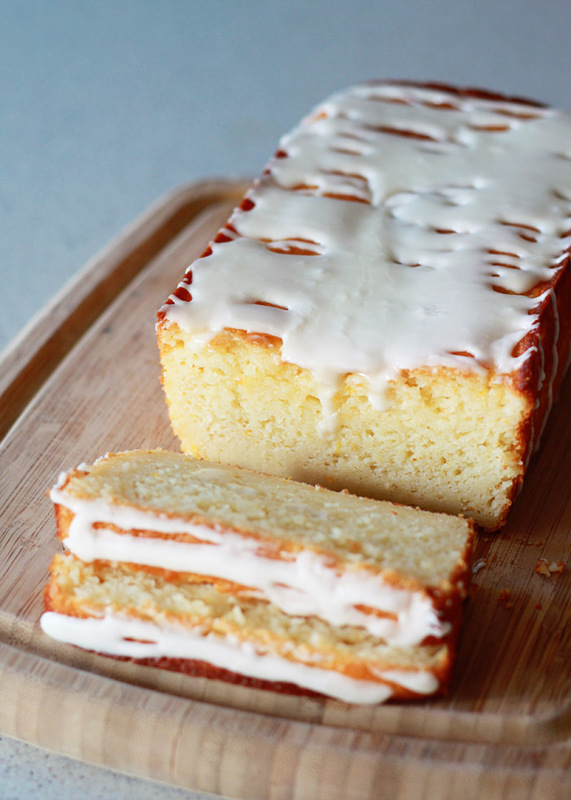 I adore meyer lemon, so meyer lemon AND cake? It indeed looks delicious and I must try, I love cakes with coffee or milk, yummy! 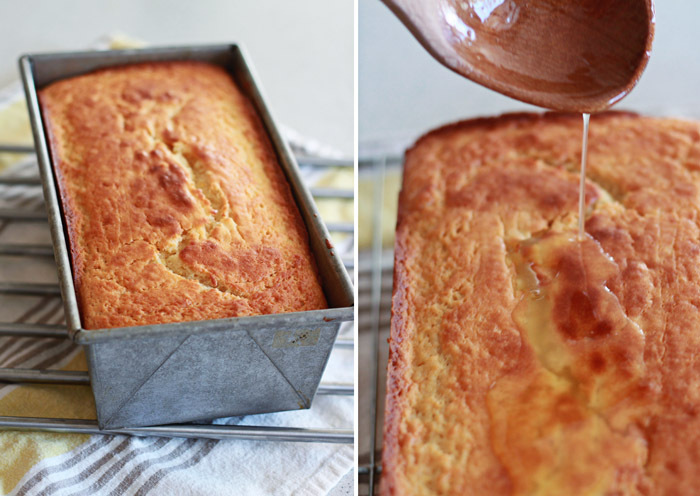 I’ve never tried a cake recipe with olive oil as a ingredient, but as I love olive oil, too, for sure I believe you and I “pinned” this recipe to try it soon. This looks fantastic! I’m curious if you’re at sea level, or at an altitude? Just need to know what alterations I need to make for where I’m at. Thanks! 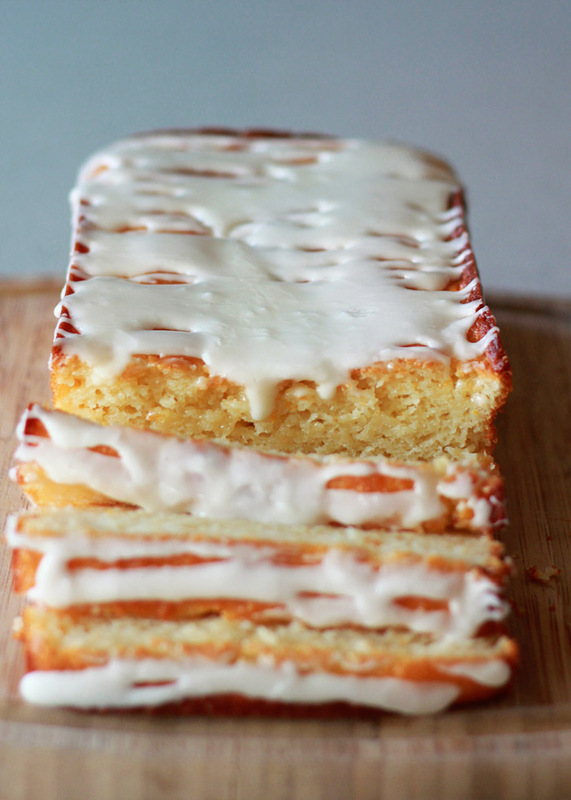 Lemon cake already is my weakness. OMG what are you doing to me? I’m super excited to try this with olive oil. It sounds like it gives the cake a more sophisticated and unique taste. Oh and by the way your photography in this post is phenomenal! Yummo! Thanks for the recipe. Turned out perfect and our guests loved it! I served it with natural yoghurt. I’m so glad you liked it! My pleasure. This is one of my favorites of late. This sounds amazing–will definitely try this next time. Thnx for the recipe. I made this cake yesterday for a potluck I was going to. All I’ve got to say it WOW, this cake is delicious! Everyone loved it! I made it exactly according to instructions except I added 1-tsp fresh minced Rosemary and didn’t use all of the syrup. I added the rosemary because our dinner theme of the evening was herbs. It took the cake 60 minutes to bake in my oven. Thank you so much for sharing this recipe, I know I’ll be making it again and again. Hi we made this cake yesterday for our visitors at our “Oil Press festival” . All we can say it WOW, everyone (kids) liked this cake “very delicious”. Wonderful! So glad everyone liked it. An Oil Press Festival sounds like so much fun! Thanks for your terrific recipe!!! One comment: You said that like extra virgin oil but one could use a milder oil. The fact that olive oil is extra virgin means that it’s cold-pressed and the anti/oxidants have been retained. It’s healthy for us. Extra virgin is about the processing. In our mill we have 10 different varieties of olives that are all processed in this way. Some varieties are very mild and some are quite sharp. The point of a quality oil is that when you drink a sip, it should tast fresh and grassy… Nothing mouldy. Our grocery store had meyer lemons on sale and I found your recipe doing a search. I just made this yesterday and we loved it (even my husband who is not a fan of lemons like I am)! I had to bake it a bit longer but everything about this is delicious! !